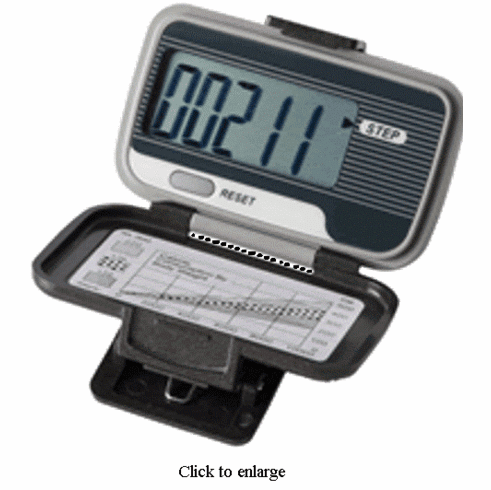 The Ekho ONE Pedometer is perfect for your 10,000 step per day program, this step pedometer is easy to use. Ideal for everyone, the large display makes it easy to read as you exercise. Ekho ONE Pedometer Features Step counter Large digital display, Hinged protective case, Durable 2 year warranty, Loss prevention strap, and User changeable batteries.